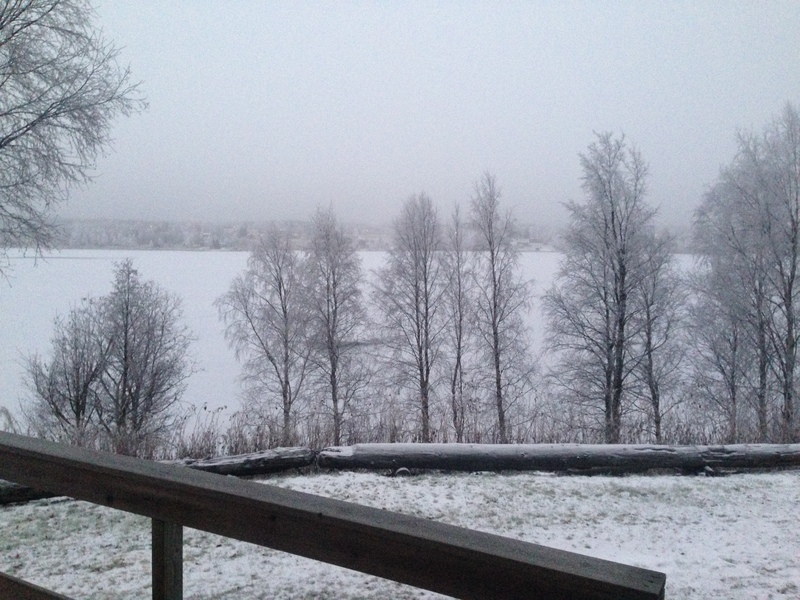 Today, I’m sitting in our little cottage by the lake near Rovaniemi, Finland. It’s lightly snowing outside, the kids are doing school, and Carl is cooking up something delicious. Life is grand. And cozy. And hungry….oh so hungry!!! We decided to rest today since the last week has been absolutely jam packed with travel….we left Ireland, had a four day whirlwind trip through Scotland and then landed in London for about five days. After sightseeing there, we flew into Helsinki and drove all the way up north (seriously, check out how far north we are on a map!!) and are here for about two weeks. Whew! Just thinking back on the busyness makes me want to take a nap! The cottage we are in is cozy and well placed. We are on the lake and about an hour and twenty minutes to Santa’s Village. The market is about a ten minute drive but we are far enough out for it to be quiet. If the cloud cover would dissipate we would be able to see Northern Lights….but I don’t think that will happen this week. The forecast isn’t cooperating with our viewing pleasure! Maybe at our next destination!! I didn’t realize that we would be so close to the Arctic Circle. We are definitely going to cross it in some manner and Carl is thinking we should do something memorable to mark this momentous occasion….dog sledding maybe?! We are going to eat breakfast/lunch now…I’ll try to get back soon to share more of our adventures! Europe. Can you look at a map? It’s off the coast of France.